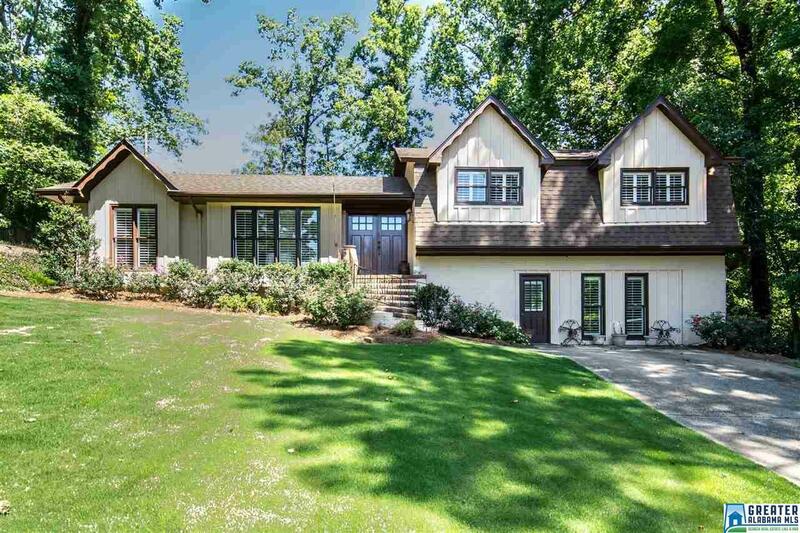 3304 Eaton Rd, Mountain Brook, AL.| MLS# 818528 | Richard Jacks UABLIVING.com 205-910-2297 | Birmingham AL Real Estate | Contact us to request more information about our Homes for Sale in the Birmingham AL area. Precious cottage in Brookwood Forest. Home is on a quiet street with lots of fun neighbors! Home is surprisingly large with about 2774 square feet making it cozy but plenty of space for comfortable living. Seller has made the following thoughful improvements: Added a retaining wall, screened in porch, converted the garage into a playroom, bedroom, full bathroom, and laundry closet. Put in new wood front doors, added custom shutters throughout the home, Roof was replaced 5 years ago, both upstairs bathrooms have been renovated, there is a brand new oven, The backyard was made flat by removing 30 truck loads of rock and all new landscaping was installed and a fence was added so the yard would be fully fenced. Gutter guard were added, the HVAC system was replaced 10 years ago.